Additionally, though not mentioned in the audio snippet, the PDF of the most recent Regional View shows that Residential Fixed Investment is declining at a SAAR of 1.1%. 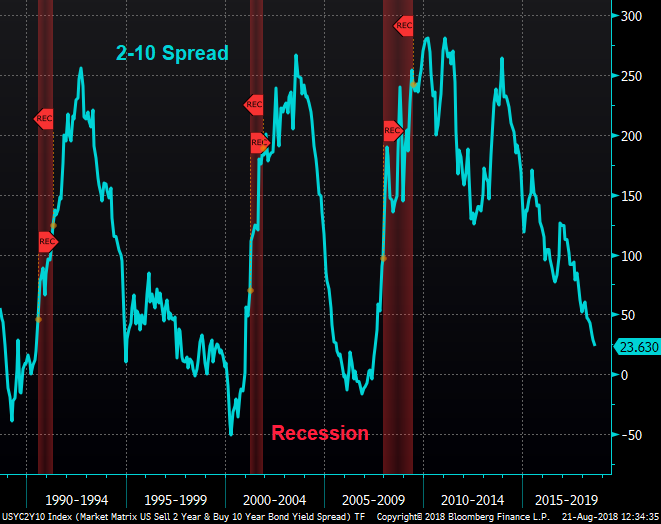 While that’s nowhere near the 20+% drops seen during 2008 and 2009, it is something we are cognizant of given the dynamics discussed in Edward Leamer’s paper from the Fed’s 2007 Jackson Hole conference, which we featured in an earlier TFTD. With the Fed bigwigs meeting in Jackson Hole this week, we will see if the fear of inversion makes further appearances in the presentations and discussions.